With Vashon Island waterfront real estate you’ll be able to look forward to coming home to a slice of paradise that’s just a short ferry ride from Seattle, Tacoma or Kitsap County, making it ideal for a holiday retreat or a year-round residence. This rather large island is fairly rural and actually made up of two islands: Vashon and Maury islands. Its home to a population of about 11,000 who enjoy the tranquil beauty and friendly atmosphere as well as the opportunity to soak up exceptional views of the Puget Sound, the Cascade and Olympic mountains, and soaring Mount Rainier. Spend your free time strolling the sandy beaches, meandering along the scenic woodsy trails and exploring art galleries and then come home to an especially relaxing environment that makes it easy to unwind after a day of work or play. If you relish being on Island Time, you’ll love having Vashon Island waterfront real estate with its laid-back atmosphere, but surrounded by water, you’ll also have lots of opportunities for active pursuits too. Here people don’t live to work, but live to play, including sailing, canoeing and kayaking as well as walking, hiking and biking. 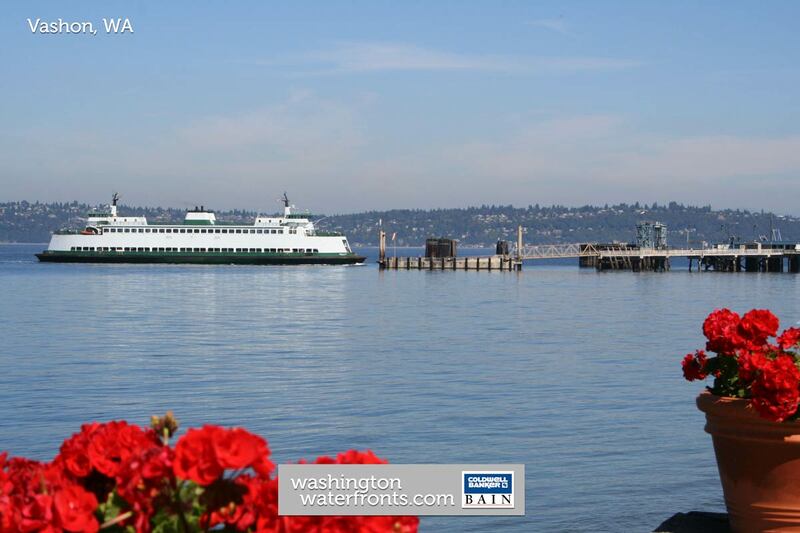 While you can easily reach world-class dining and major shopping in the big cities by hopping on the ferry, there are a number of fun shops on the island as well as a handful of cafes and eateries, and the Vashon Farmers Market with fabulous local and regional items. From vacant lots for building your dream, customized homes to idyllic abodes with harbor and marina views, low bank waterfront and personal moorage ready to move in now, with Vashon Island waterfront real estate, you’re sure to discover your own ideal piece of water lovers’ paradise among Vashon Island waterfront real estate. Take advantage of our industry-leading tools to make your property search as easy as possible and be sure to register for a FREE account so that you can receive email alerts whenever new Vashon Island waterfront real estate for sale hits the market. If you're seeking to sell your Vashon Island waterfront property, contact our Waterfront Specialists directly for a comprehensive listing analysis and to learn more about the cutting-edge marketing strategies we'll use to sell your home quickly for top dollar!